Rosoboronexport at DSA 2012 with latest military technologies for Air, Land and Navy Forces. Rosoboronexport’s traditional partners in the Asia-Pacific and Southeast Asia regions have long been operating Russian combat aircraft. Air Force equipment accounts for over 51 percent of the Company’s export deliveries. Nowadays Rosoboronexport promotes Su-, MiG- and Yak-family Russian aircraft in the region, which have high export potential. 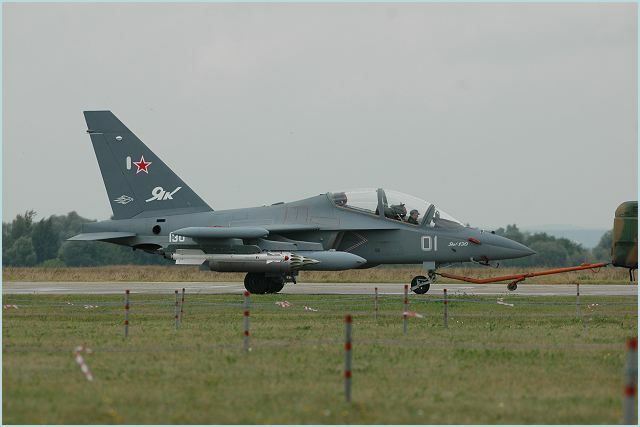 The Yak-130 modern combat trainer will certainly arouse interest among potential customers. The aircraft successfully passed the official tests and has been in service with the Russian Air Force since 2010, where it showed itself at its best. Its production currently continues. Owing to its high training, technical and fighting performance and operational efficiency, the Yak-130 has entered the global arms market, and several export delivery contracts for these aircraft have already been signed to date. The participants and visitors will be able to get a comprehensive idea of the modern T-90S missile/gun MBT. It features small dimensions and weight, a low silhouette, missile and gun armaments, and an explosive reactive armor system. It is one of the best tanks in the world today.